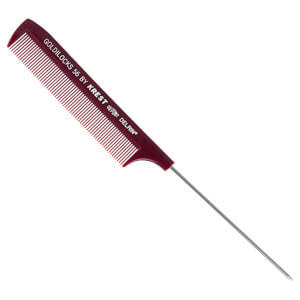 When Pat and Esther DiMarzio founded Krest Products Corporation in 1958, they began by manufacturing just one comb style for the professional beauty industry. 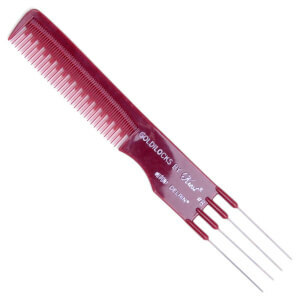 In order to succeed, they knew that the one style had to be made from the finest quality materials and workmanship in order to be accepted by knowledgeable, hard-working, professional stylists. As a result, QUALITY became the cornerstone of the company and QUALITY remains the cornerstone today. Krest is now a third-generation family business. Pat and Esther’s son, Rick DiMarzio (president), and grandson, Dean DiMarzio (vice-president), continue the “TRADITION of QUALITY” that was established by the founders. 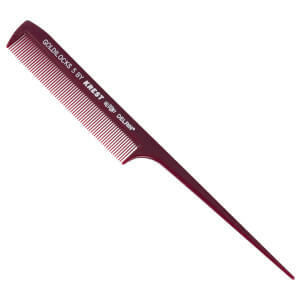 Krest now offers 5 distinct lines of professional combs encompassing over 100 variations of styles and/or colors for the discriminating professional. 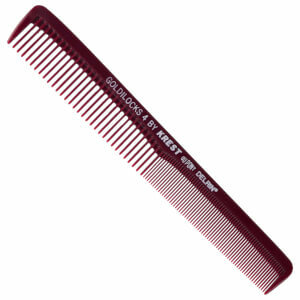 These 5 lines consist of: 1) “Cleopatra”: all-purpose combs of synthetic rubber, 2) “Krest”: specialty combs of synthetic rubber, 3) “Goldilocks” and “Silver Edition”: heat-resistant thermal combs of Dupont Delrin, 4) “Krest Bone”: ultra heat-resistant combs of phenolic resin, and 5) “Krest Hard Rubber”: handmade, high heat-resistant combs of hard rubber.